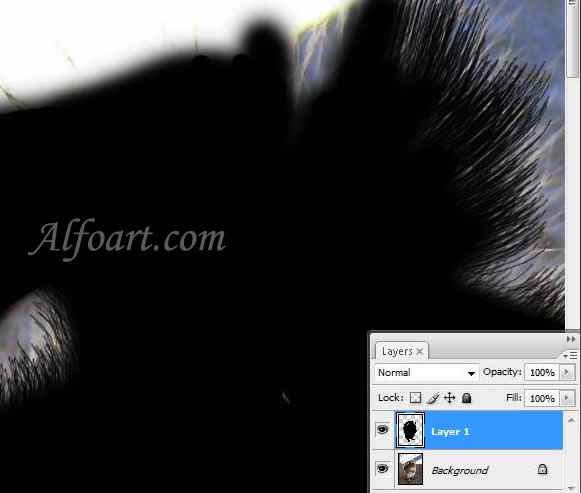 Fill squirrel silhouette with black color using smooth brush. 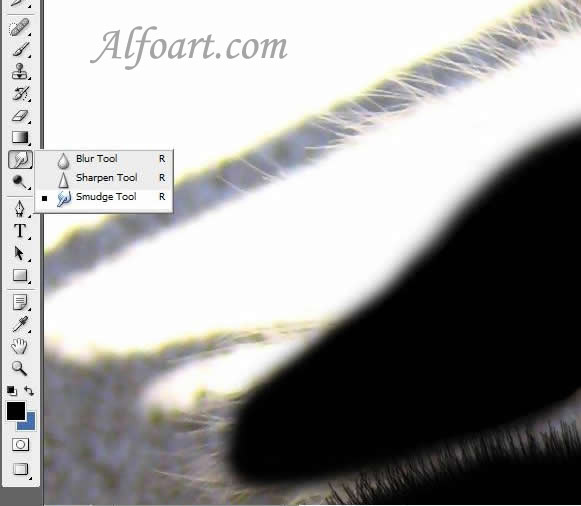 Paint over the wool on the edges using Smudge Tool (normal, 100%). 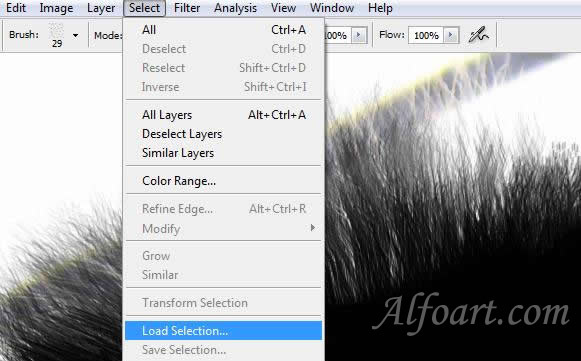 Load selection of this layer. 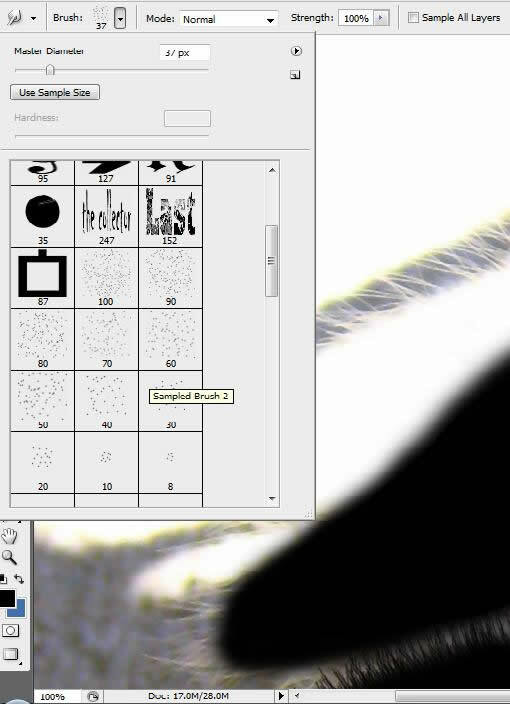 Delete the black color layer. Copy the selected silhouette and paste it into Ice Background. Correct mouth and eyes in Filter > Liquify. Duplicate Squirrel and Background layers. 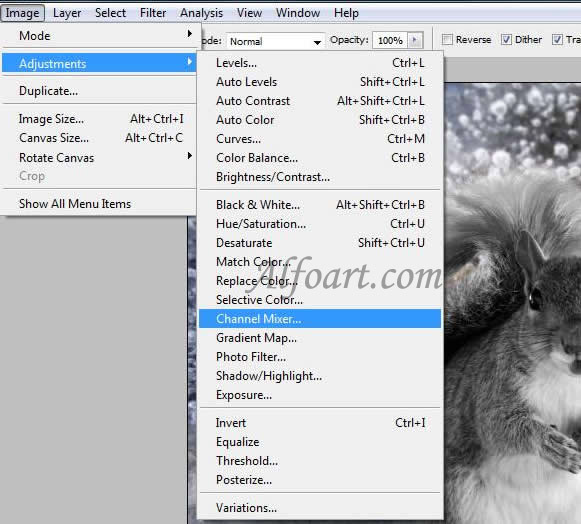 Make squirrel and background duplicates layers of monochrome color in Channel Mixer.